Coyotes are typically shy and elusive creatures. “Coyotes do a great job co-existing with us in Vancouver. They have adopted a mainly nocturnal life-style—just to avoid us,” says Hart. We can do our part to help keep coyotes wild by scaring them away and removing food sources around our homes. Scaring away coyotes also helps to reinforce their natural fear of people. SPES monitors coyote activity across Vancouver and posts all sightings online on an interactive map. If you do come across a coyote, report your sighting via the online-report form. 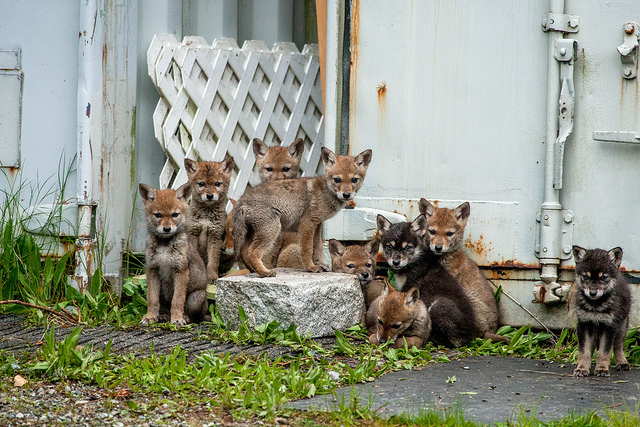 For more information about coyotes and tips on co-existing with them: follow Co-Existing with Coyotes on facebook, check out their website, or call 604-681-WILD. These simple actions help keep people, pets and coyotes safe.